Connections of Redkirk Warrior are hoping he'll show his true form this weekend when he lines up in the Darley July Cup at Newmarket. The Australian sprinter was heavily touted for success in the Diamond Jubilee Stakes at Royal Ascot last month on his first outing at a British racetrack. He was most disappointing however as Merchant Navy won that race for trainer Aidan O'Brien. Redkirk Warrior is trained in partnership by David Hayes, his son Ben and Tom Dabernig. 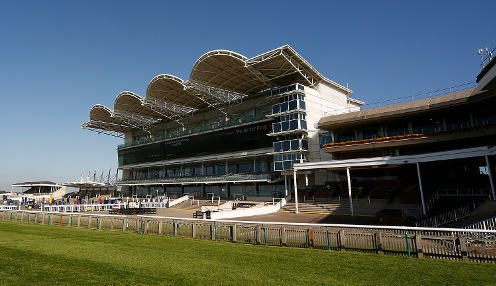 He is a 9/1 chance to win the July Cup at Newmarket on Saturday. Redkirk Warrior's regular partner Regan Bayliss has jetted in for the race, with Frankie Dettori having been on board at Ascot. The Italian was blameless for that setback, though connections are delighted to have their Aussie rider available. After giving his big-race mount a Monday morning workout at Newmarket, Bayliss is upbeat. "It was good to have a look at the track as we've got nothing like that in Australia. It's good to have a ride on it before Saturday and the horse is in really good order," said the jockey. Blue Point, winner of the King's Stand Stakes at Royal Ascot, is 3/1 for July Cup glory while former Newmarket hero Limato is 10/1 to win the Group One for a second time. Redkirk Warrior gave the Diamond Jubilee winner Merchant Navy almost a stone in weight when defeating him in Australia earlier this year, leaving Bayliss perplexed as to what went wrong at Ascot, though he's hopeful it will be just a blip. "At the start of his preparation he beat Merchant Navy, so he's got very good form against very good horses," he added. "When he is on-song he's one of the best sprinters we've got in Australia, if not the world."